At one point the Nepalese Maoist movement declared that their approach to politics was encapsulated in an evolving synthesis they called Prachanda Path — after their founding leader Prachanda. In subsequent years, Prachanda became part of a political move to the right, abandoning and then disbanding the essential gainst of the revolution — the base areas, the peoples courts, the Peoples Liberation Army, and essentially the hopes of revolution itself. 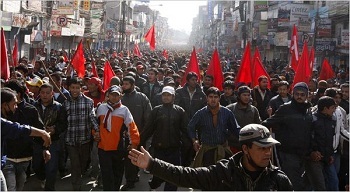 As radical forces within the Unified Communist Party of Nepal (Maoist) regrouped, they have had to reevaluate their party’s previous decisions. Here is one that deals with ideas and synthesis. Basanta is the political name of Indra Mohan Sigdel. He was previously a member of the Politburo of the Unified Communist Party of Nepal (Maoist). 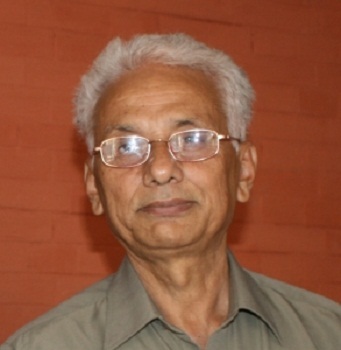 His earlier 2006 article on Prachanda Path was widely read within the international communist movement. Now he is discussing the way he believes things now stand. I had authored an article about 6 years before. It was entitled: “International Dimensions of Prachanda Path”. The article, published in the 10th issue of The Worker, Party organ in English, had created debate in the international communist movement. Is Prachanda Path really a creative development of Marxism-Leninism-Maoism or merely a deviation from it was the question under debate at that time. 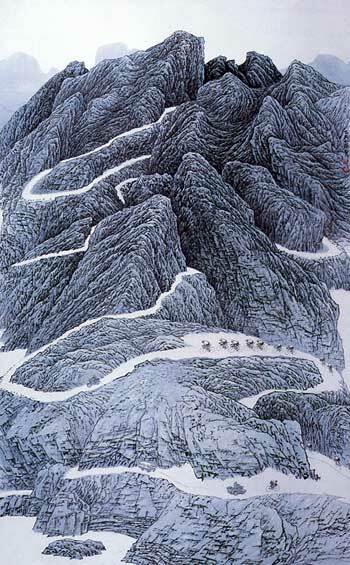 Given the development of people’s war in leaps, one after another, it was also not an easy task for them to take position against it. 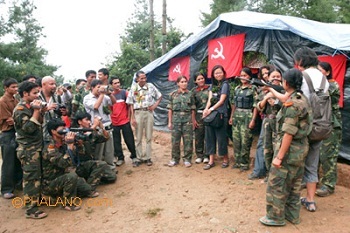 But, most of the revolutionary parties did not assimilate it rather they opined that it resulted from the ideological deviation on the part of CPN (Maoist). The wave of Prachanda Path, which was said to be the synthesis of the experiences of 5 year’s long stormy people’s war, had stretched all across the world. It was not unnatural too. 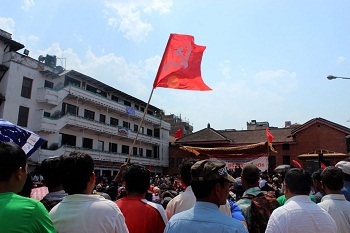 Party had defined Prachanda Path as a series of particular ideas generated by the Nepalese revolution. 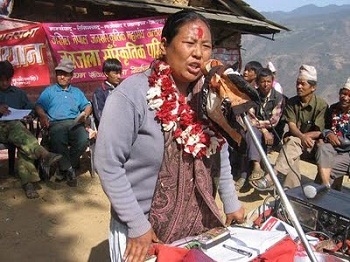 I had prepared that article as our party, the Communist Party of Nepal (Maoist), comprehended it at that time. Unsurprisingly, Prachanda was happy with the article. This is from World’s People’s Resistance Movement of Britain. 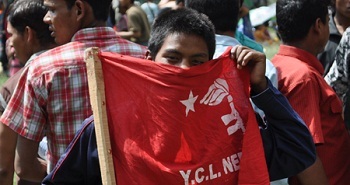 This uncut-hour long audio is from the press conference organized on June 19th by the newly formed Communist Party of Nepal-Maoist. The question and answer session is available in Nepali. Thanks to Comrade Pooja for taking her time to make this audio available in English transcription. And thanks to World People’s Resistance Movement of Britain for circulating this. Q: How do you justify the formation of the new party? How should people understand this? The following is a significant statement from revolutionary forces previously within the Unified Communist Party of Nepal (Maoist). 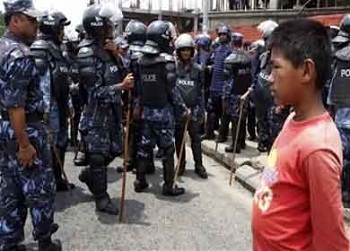 Increasingly they are separating themselves organizationally from the old party, and seeking to chart a new course, for themselves and the people, toward a more decisive revolutionary break in Nepalese society. This article originally appeared in Red Front and then on Democracy and Class Struggle. It was published two days ago on Kasama. The leadership of Baburam Bhatterai and Prachanda in the Nepalese revolution has disintegrated. 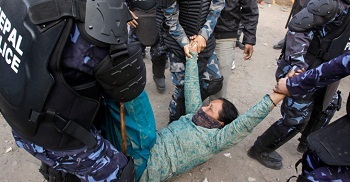 It has shown that rightist reactionary politics emerged again in Nepal’s history. 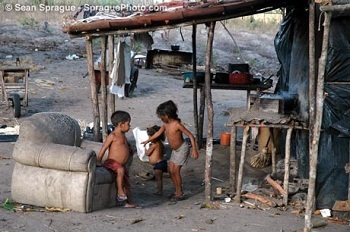 The situation has become difficult because their leadership abandoned the goal of the People’s Federal Republic.